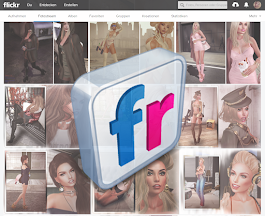 Second Life - LOOK GREAT -: Fill Your Heart Without Trying! Fill Your Heart Without Trying! Mesh-head bento Catya 3.0 by Catwa + applier Kiki by - INSOL - @ Uber - NEW! Anita Outfit: Jeans & Sweater by EVANI @ Kustom9 - NEW! Chill Gacha: #12 by .:::ChicChica:::. @ The Arcade - NEW!